Titanium 6AL 6V 2Sn Plate, Titanium Grade 5/Ti-6Al-4V Plates, Grade 6Al 6V 2Sn Titanium Plates, Ti 6-2-4-2 titanium alloy Plate, Ti 6Al 2Sn 4Zr 2Mo Ti 6Al 6V 2Sn Titanium Plates, manufacturer, Suppliers, Exporters, Mumbai, India. Titanium 6AL 6V 2Sn Plate is heat treatable high strength alloy with lower toughness and ductility than Ti-6Al-4V and limited weldability. Titanium 6AL 6V 2Sn Plate(6Al-6V-2Sn) is a heat treatable, high strength titanium alloy with higher strength and section hardenability that 6Al-4V. but with lower toughness and ductility and limited weldability. 6-6-2 is typically used in airframe component applications. 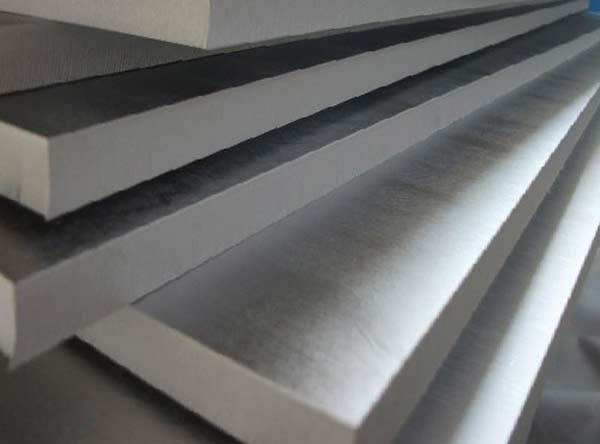 Ti-6Al-6V-2Sn alloy is used for forgings and extrusions requiring greater strength thank Ti-6Al-4V. Typical uses include rocket engine cases, airframe applications, as well as fasteners. Fracture toughness and fatigue resistance are lower than Ti-6Al- 4V. This alpha-beta alloy is available in bar, billet, extrusions, plate, sheet, and wire.